Go for gold in Zoggs Fusion Air Gold Mirror Goggles, arguably the most comfortable low profile performance swimming goggle available today. With Air Cushion technology gaskets providing a ‘cushioned’ seal which gives an ‘almost not there’ fit. It's not much fun swimming blind so Zoggs developed Fogbuster anti-fog which offers consistent moisture control for real clarity of vision. For extreme climate conditions Zoggs Fogbuster impregnated lenses will give extra control and give a stress free swim. So clever they had to get the computers to help on this one! 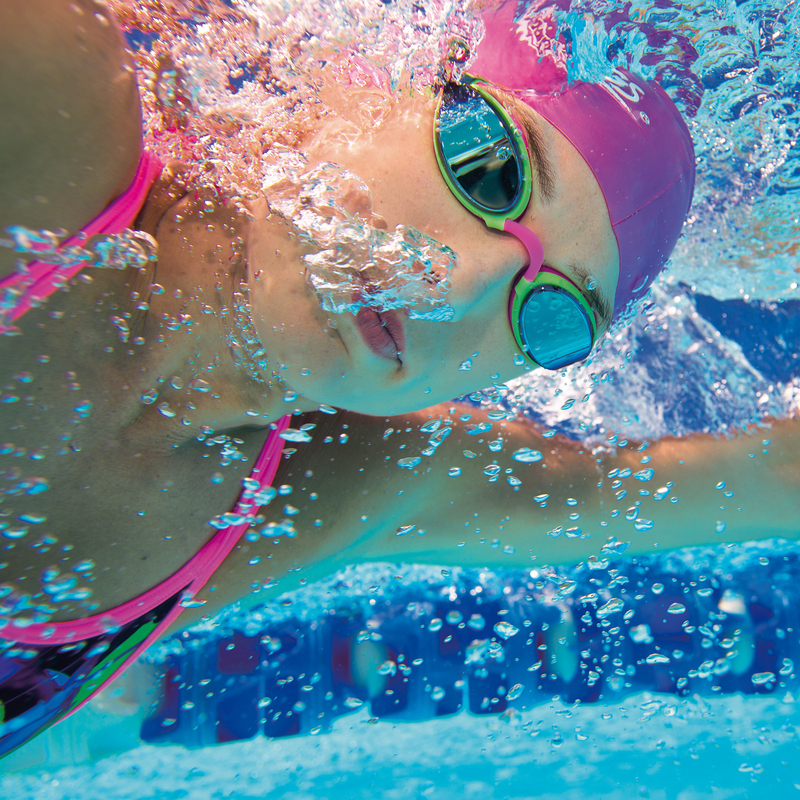 CLT is lengths ahead of other lens technologies, offering the swimmer 180 degrees peripheral vision and crystal clear clarity. Zoggs Fusion Air Gold Mirror Goggles is rated 4.4 out of 5 by 24. Rated 4 out of 5 by Redswimmer from Good looking I read other peoples reviews before buying. I can confirm they are tight on the nose and eyes, but after a few weeks I did not notice anymore. They do however fog up but the clear after 30 mins. Over all a good pair of goggles and will purchase again. Wiggles customer service is fantastic and delivered before the 4 days free. Rated 4 out of 5 by Brano from At home in the pool or in open water I bought these for pool based swims and some open water swimming in late autumn. While very impressive, good visibility, good fit and no fogging issues, the outside of the lens scratched quite easily removing the gold mirror even though they were in their case in a bag with no rough objects in the bag (water bottle was the hardest object in the bag). They are still perfectly usable, and I still use them, but this is an annoyance. Would I buy again? Yes, probably but I'd be paranoid about getting them damaged. Do these also come with a variety of nose bridges? The additional nosebridges are included with the goggle. The pack contains 5 x S/M &amp; 5 x M/L. So does this come with at least diffent size nose bridges or do they have to be bought? On the Zoggs Fusion Air Mirror googles the bridges seem to be included as standard (and for less money) where the previous Q&amp;A on this topic has conflicting answers. Ultimately I want to order googles and make them fit my face. You get a selection of colours in 2 sizes.